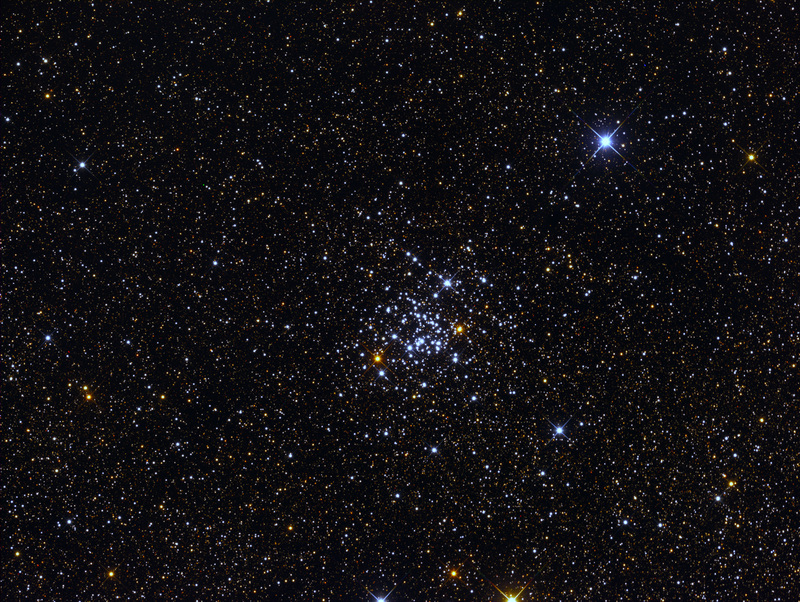 NGC 3766 is an open star cluster in the southern constellation Centaurus. It is located in the vast star-forming region known as the Carina molecular cloud, and was discovered by Nicolas Louis de Lacaille during his astrometric survey in 1751–1752. At a distance of about 1745 pc, the cluster subtends a diameter of about 12 minutes of arc. There are 137 listed stars, but many are likely non-members, with only 36 have accurate photometric data. Total apparent magnitude of 5.3 and integrated spectral type of B1.7. 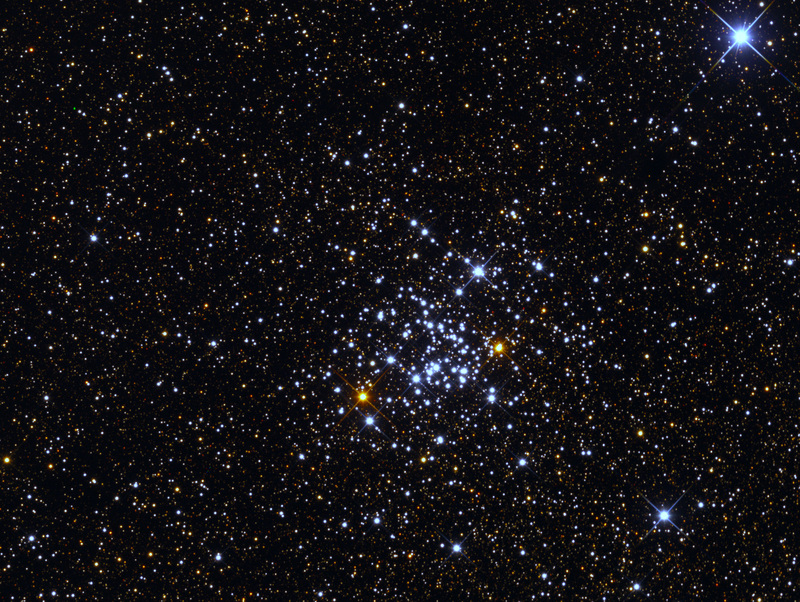 NGC 3766 is relatively young that is estimated as log (7.160) or 14.4 million years, and approaching us at –14.8 km.sec.−1. This cluster contains eleven Be stars, two red giants and four Ap stars. (Text from Wikipedia).